The collaboration of the C-ROADS team with Chinese climate analysts at Tsinghua University is growing via a university partnership. 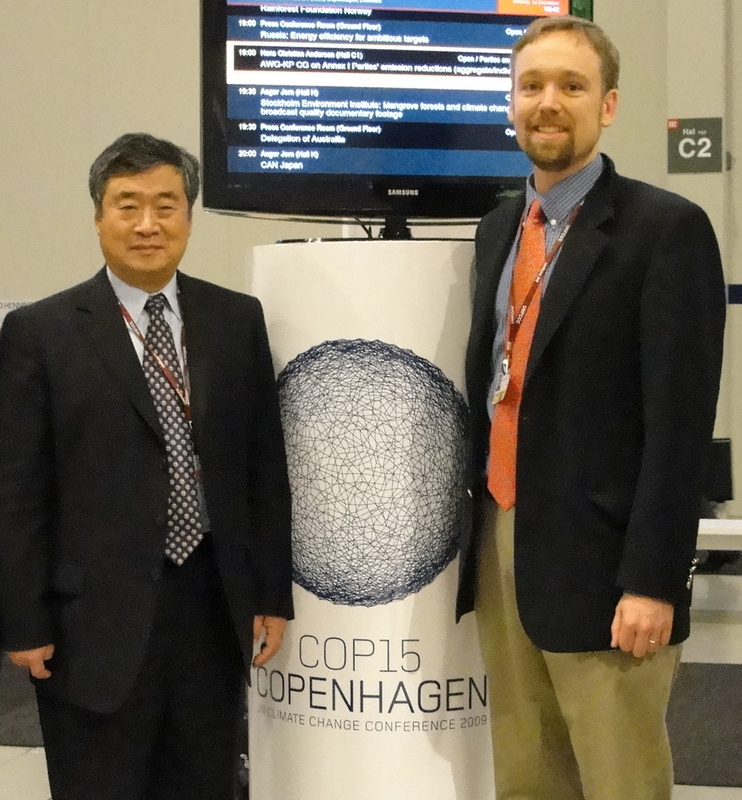 At the recent UN conference in Copenhagen, Drew Jones of Sustainability Institute met with Professor He Jiankun of Tsinghua University (shown in the photo) to discuss extending and customizing the C-ROADS simulation to better match the energy development future in China. 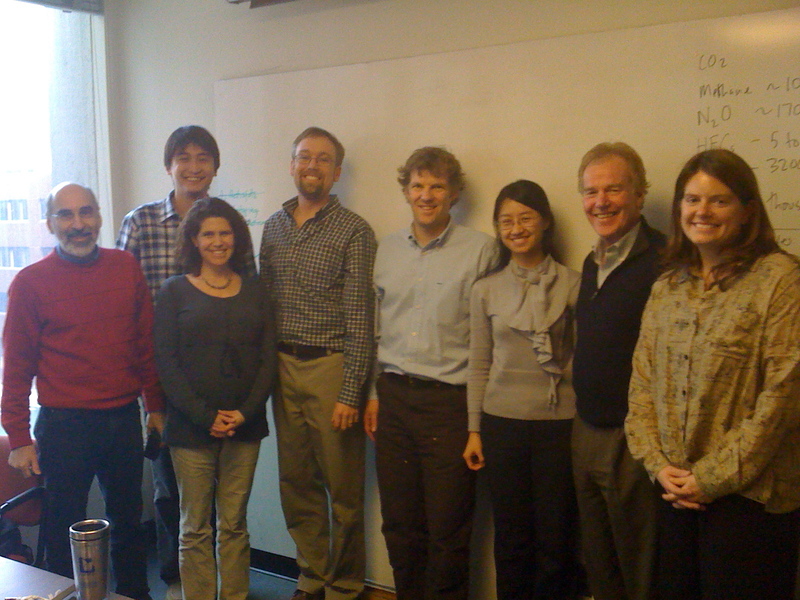 And over the past two weeks, teams from Sustainability Institute, Tsinghua University, MIT, the Society for Organizational Learning, and Ventana Systems are collaborating to include important factors such as GDP, energy intensity, and fuel mix onsite at MIT in Cambridge, Massachusetts, USA. Some of the group at MIT in Cambridge are shown in the picture. Dr. John Sterman (MIT), Xiaohu Luo (Tsinghua), Lori Siegel (SI), Drew Jones (SI), Tom Fiddaman (Ventana), Zhou Li (Tsinghua), Peter Senge (MIT/SoL), Rebecca Niles (SI/STC).